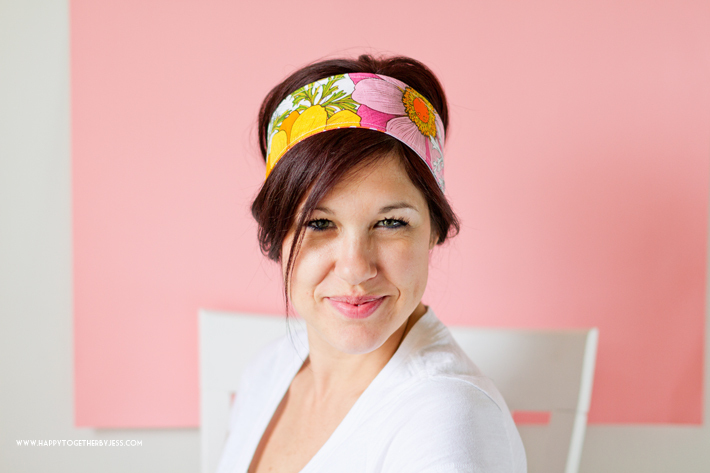 I have been making a handful double sided fabric headbands lately and wanted to share a few ways you can style them. 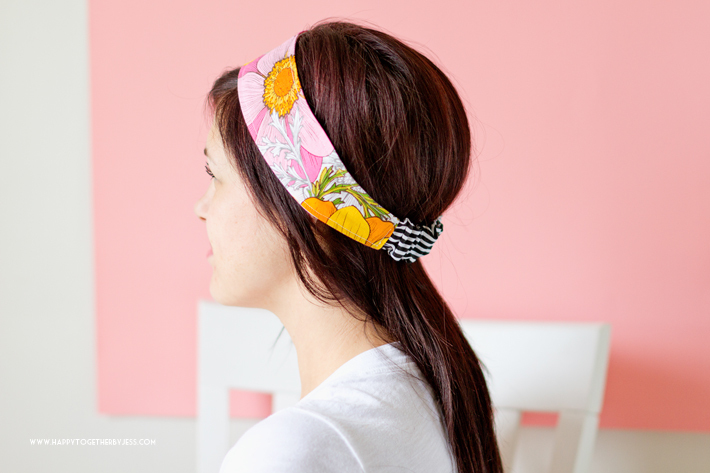 Sometimes it can be hard to envision how something might look unless we have a good visual of it so here are six ways that you can wear this headband. 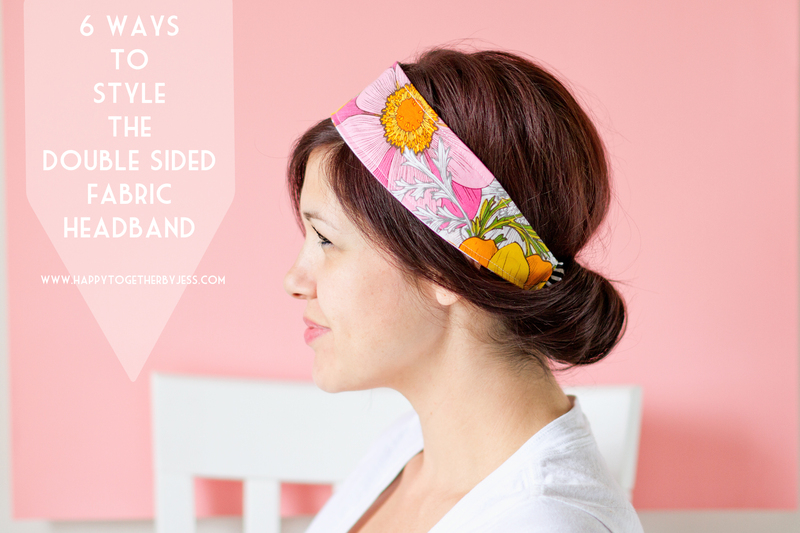 If you have styled your headband a different way, please share! You can link here in the comments or tag me and use #happytogetherbyjess on social media to share. 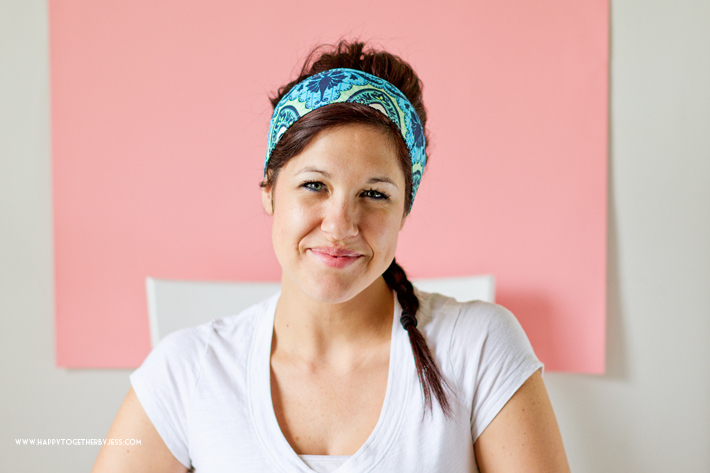 A big thanks to my friend Dorothy for modeling for me! Number 1. Let’s start with the wrap around way pictured above. It’s really easy to do. 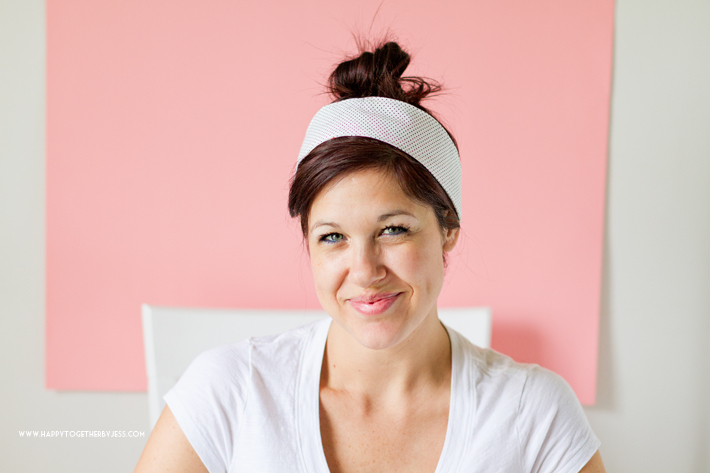 Tease the top back of your hair if you like for a little added oomph. 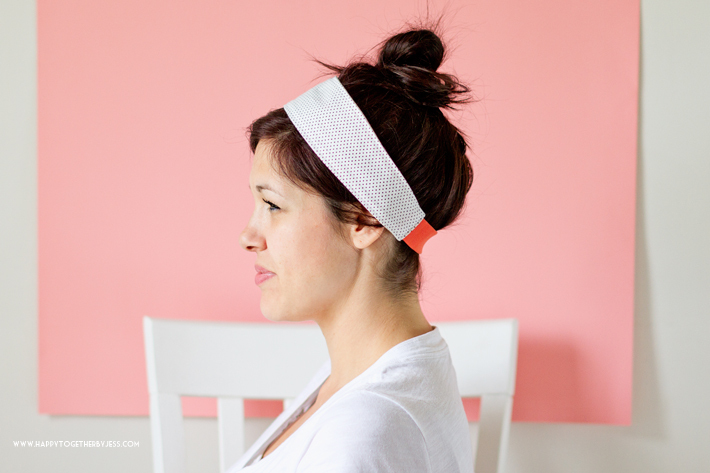 Put the headband on like in the picture above. Starting with the hair closest to your face, wrap over the headband. Keep adding more and more hair as you wrap it. 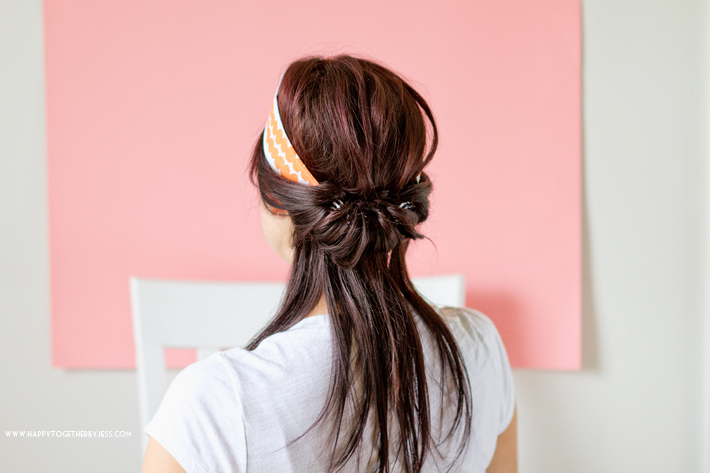 Once it is all wrapped, fuss with it a bit to get it nice and even if needed and use bobby pins to hold stray hair in place. Number 2. 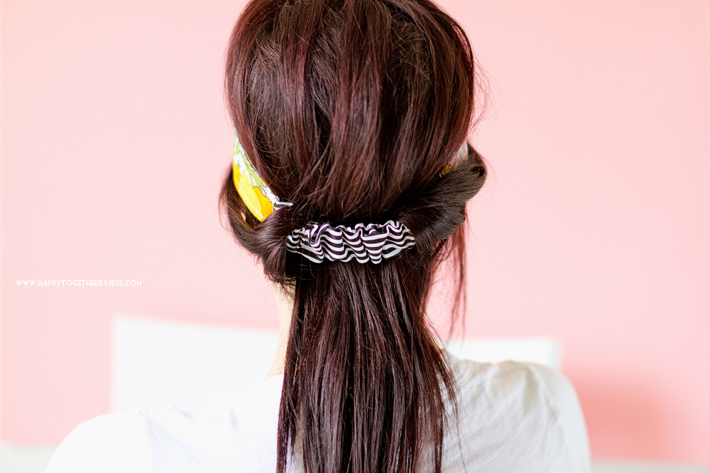 You can do the hair wrap around with just the top half of your hair for a slightly different look. Number 3. 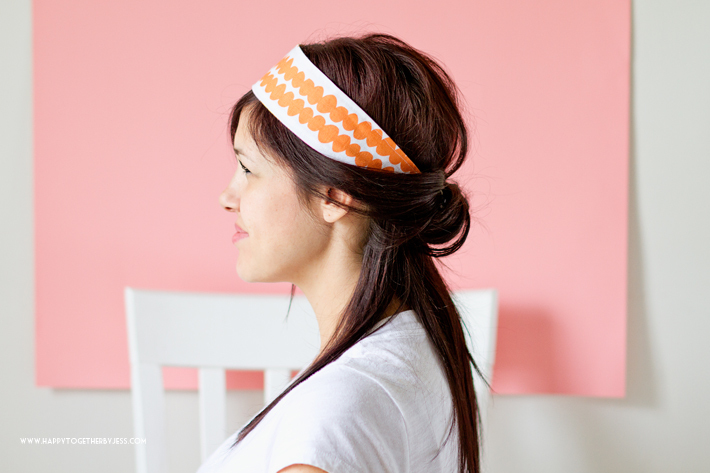 Adding a headband when wearing your hair up in a bun takes that bun to a new level. A better level. 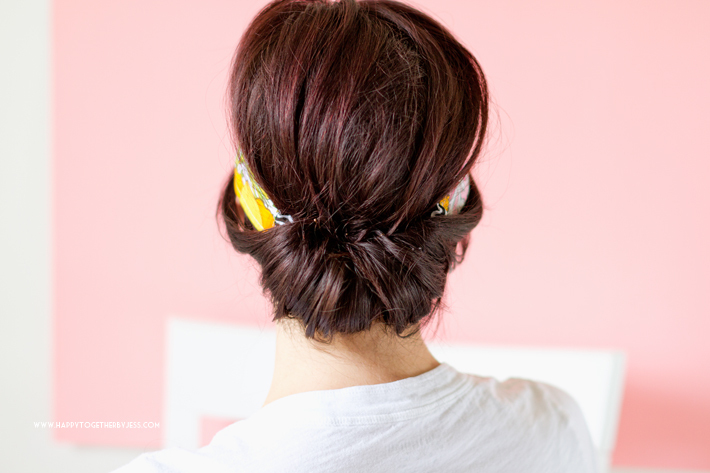 This is great for those days when your hair might not be at the top of its game, but you want a little more than just a plain ol bun. Number 4. 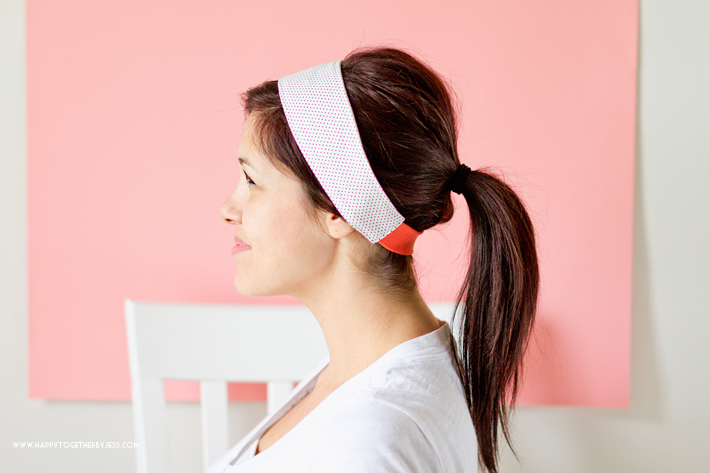 Add a headband to your ponytail style! Number 5. 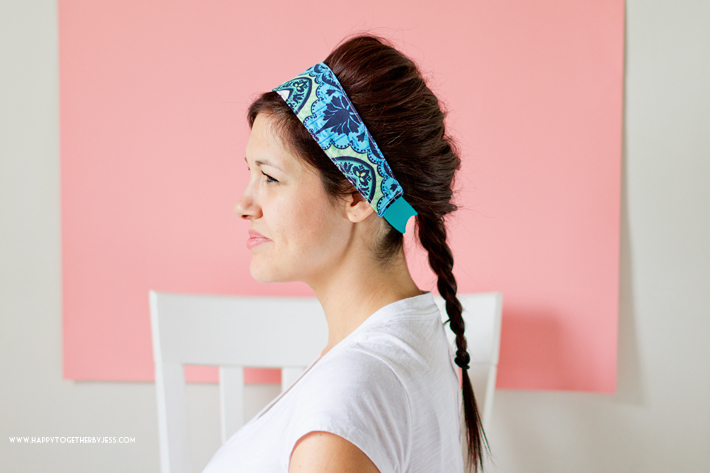 Braids are still super in right now and you can add a headband to many of the styles. 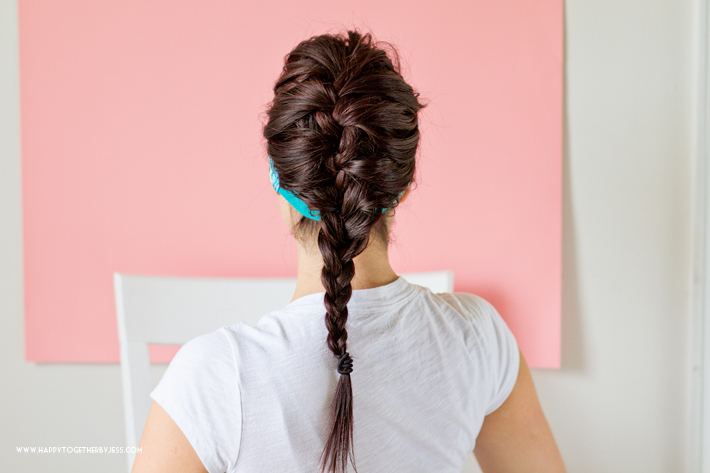 I did a simple dutch braid (which is like a reverse french braid) on my friend. As you can see, my braiding skills are not the greatest, but I’m working on it haha. Number 6. Plain and simple. Wear it with your hair down. 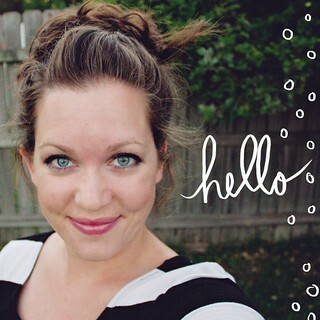 Pull out some hair in the front for a side swept bang look (even if you don’t have long bangs you can do this). 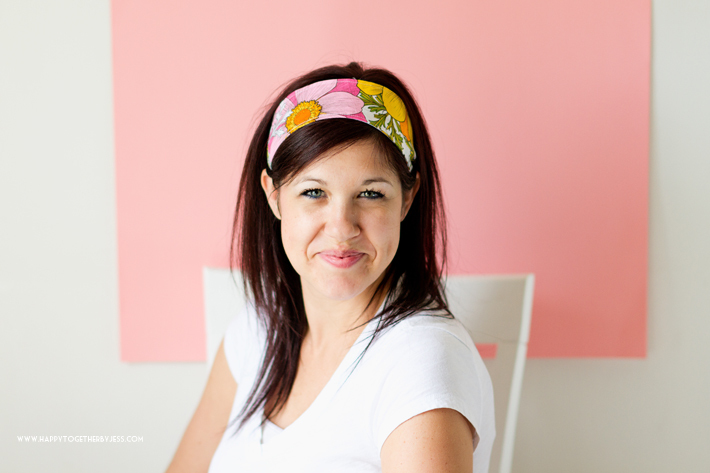 Be inspired as you wear your headband now and if you haven’t made one yet try one out. There is an adult size and a child size pattern available. You are adorable and love the ways you show to wear it!!!! The material is sweet too. Ha, I left my reply page up, scrolled up and reread. So see my comment below…that I wrote before I saw your reply 😉 Oops. You really do look alike. Thanks so much for posting; clever and great use for quilting leftovers!